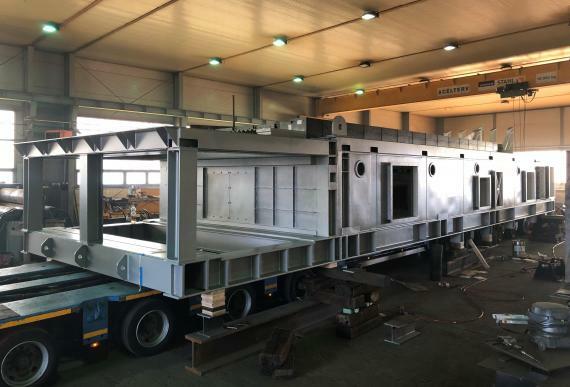 GRUBER Logistics (PAO) have recently completed the special transport of the lower part of a cooler weighing 80tn with dimensions of 17.06 x 5.00 x 3.67m as pictured in the gallery below. 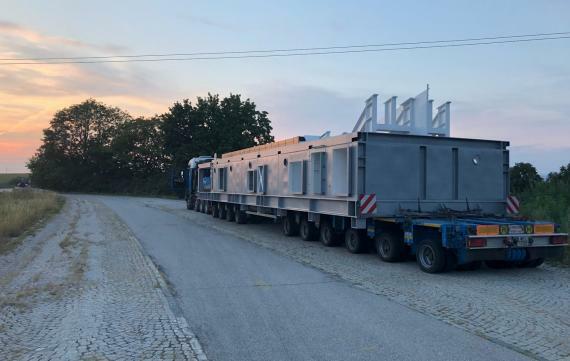 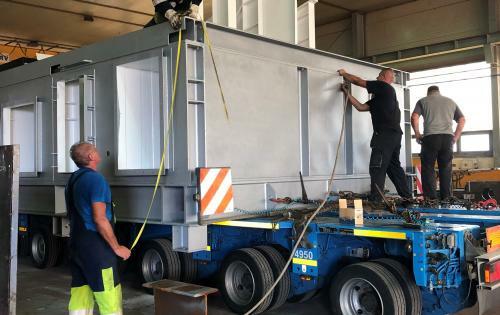 The piece was transported from Fényeslitke in Hungary to Gmunden in Austria and because of the extraordinary measurements and heavy weight, the construction of the cooler had to be altered several times to make it easier to be moved by a special low-bed with 14 axles. 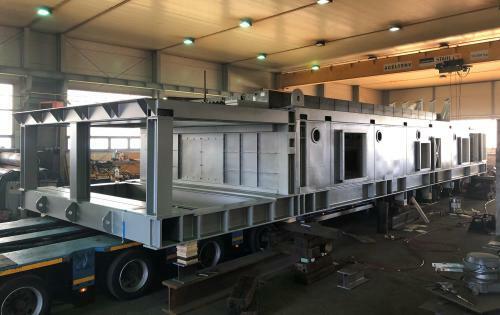 The cooler is to be part of the upgrade of a clinker plant in Austria. 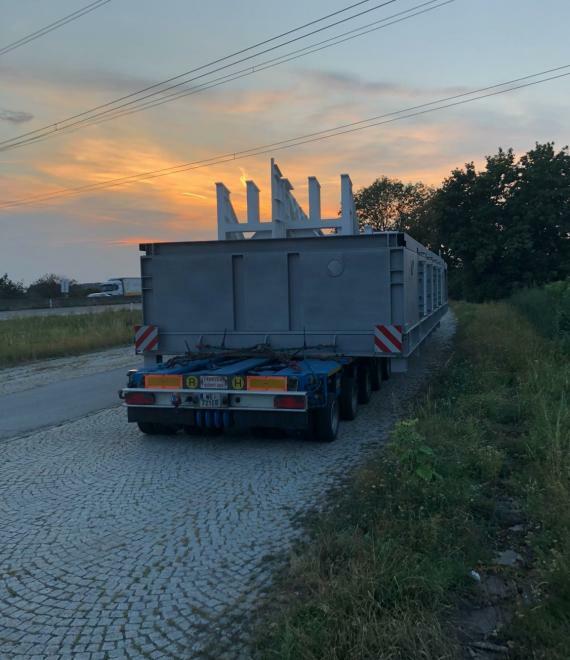 Ramona Duckstein (GRUBER Executive Support Manager): "The route surveys were already made at the beginning of the year but due to new construction sites in Hungary during the summer season, the plans had to be changed a few days before the pick-up and a new route survey had to be quickly arranged as we could not be sure to reach the construction site in Austria on the arranged date. 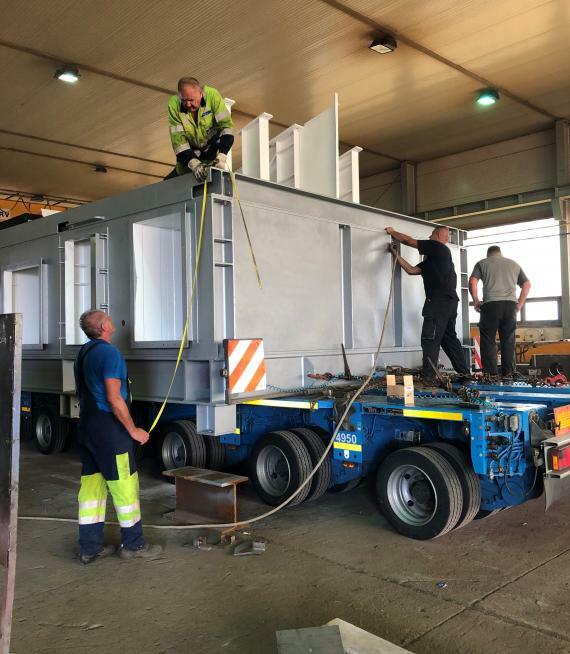 However, in the end, everything ran smoothly and the cooler was delivered on time in Gmunden, Austria." 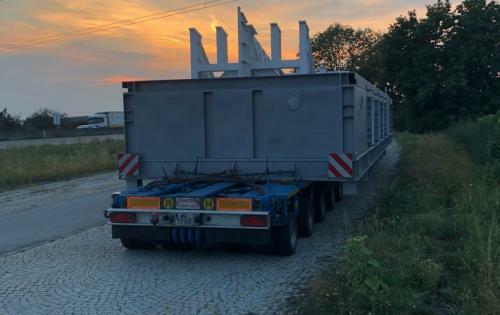 "Our PCN partner, Gebrüder Weiss, were a great support throughout the planning of this special transport and we would like to thank Stephan Fellner and his team for handling everything very professionally."